2014 Eclectics Pankration Seminar featuring Pankration Black Belts Michael Craycraft, Troy McDaniel, and the systems founder Craig Pumphrey. 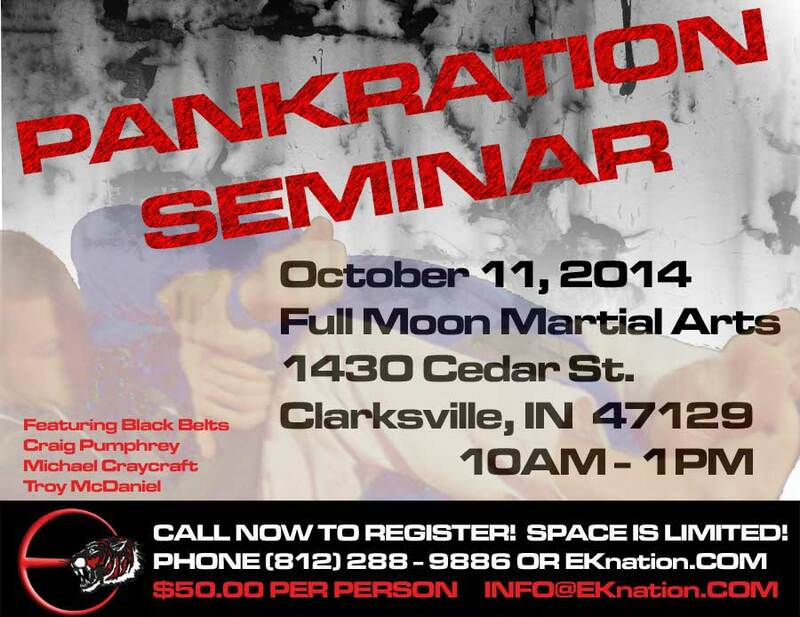 Eclectics Pankration and Full Moon Martial Arts is proud to bring you the 2014 Eclectics Pankration Seminar featuring Pankration Black Belts Michael Craycraft, Troy McDaniel, and the systems founder Craig Pumphrey. This seminar will feature each instructor and will be an event you will not want to miss.